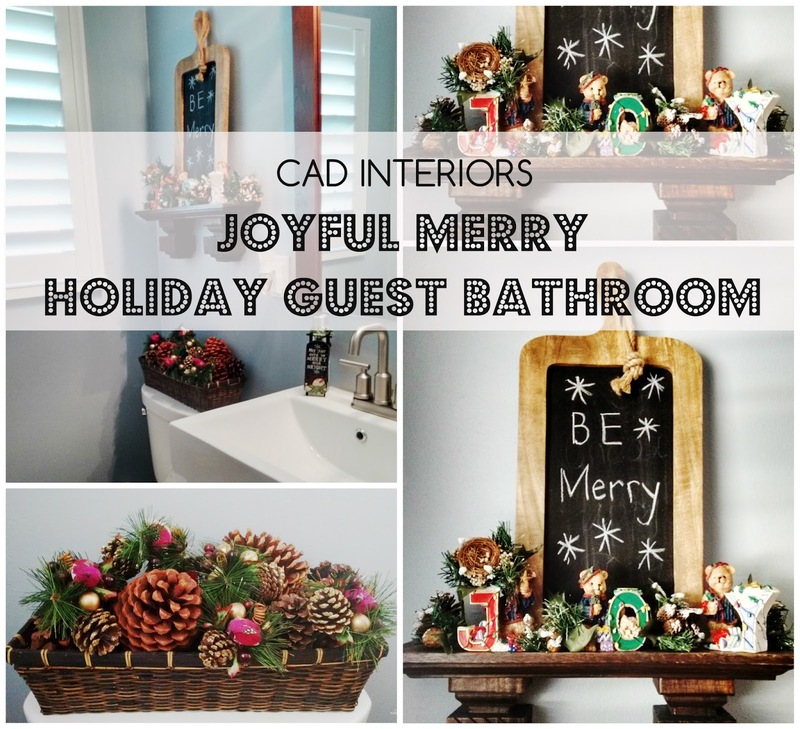 If there is one room in your home that your holiday guests will likely visit, it is the guest bathroom. 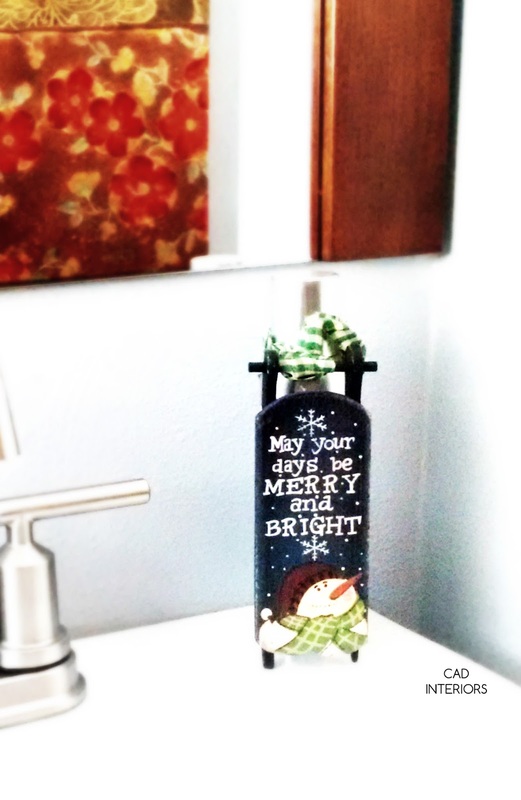 Adding holiday touches to the guest bathroom provides a welcoming touch to an otherwise utilitarian space. 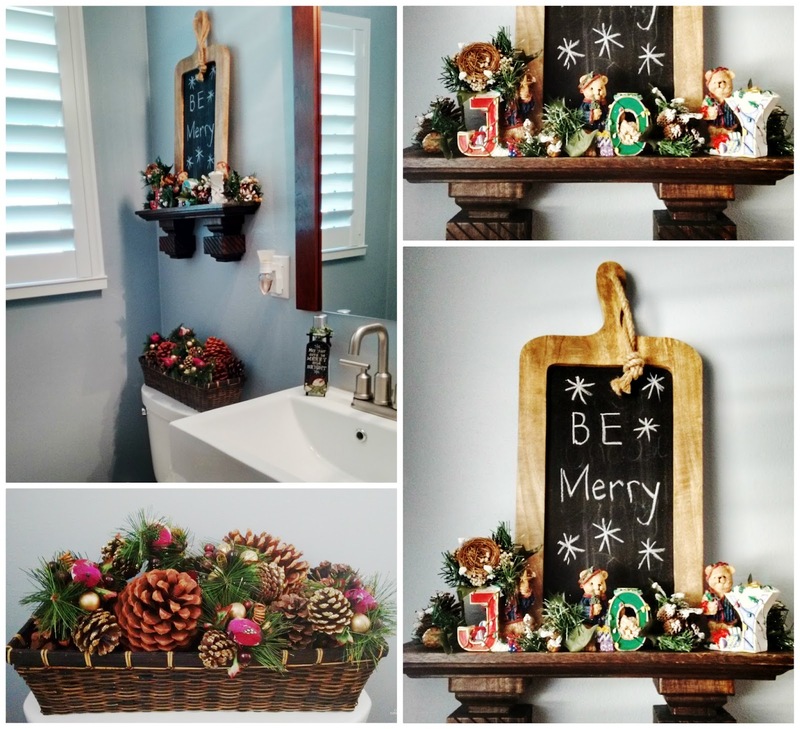 Like the rest of our home, I reused holiday decor to add classic festive touches to the guest bath. 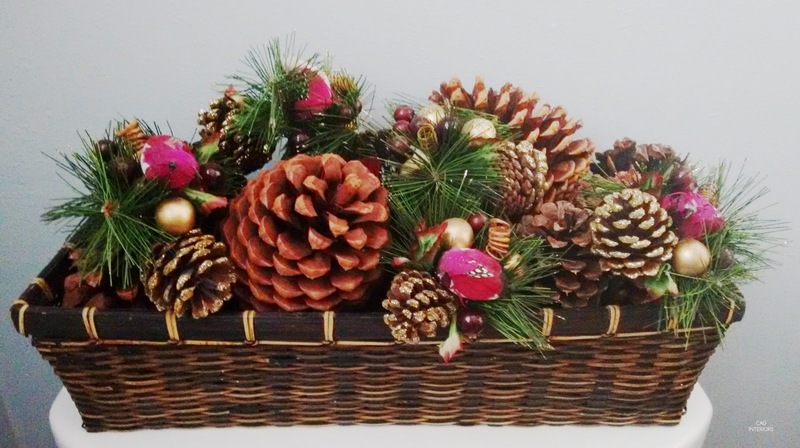 A simple basket of pine cones dresses up the commode. 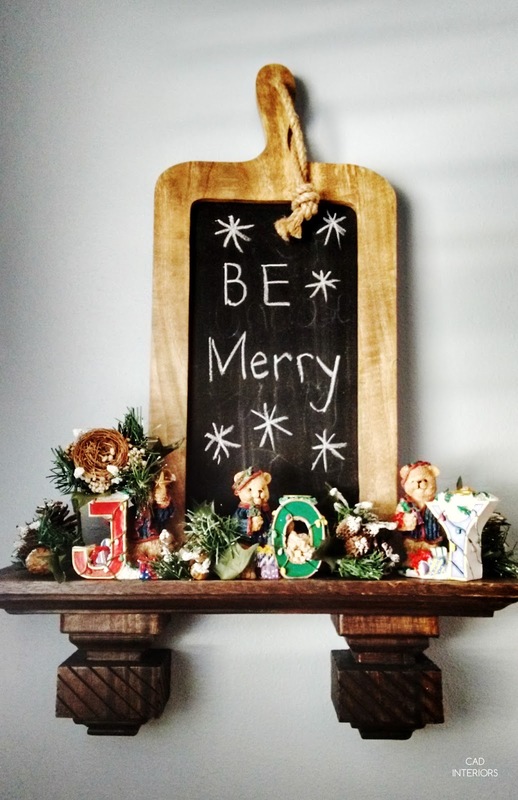 I slipped this little sleigh over a room fragrance spray to wish our guests merry and bright days ahead. 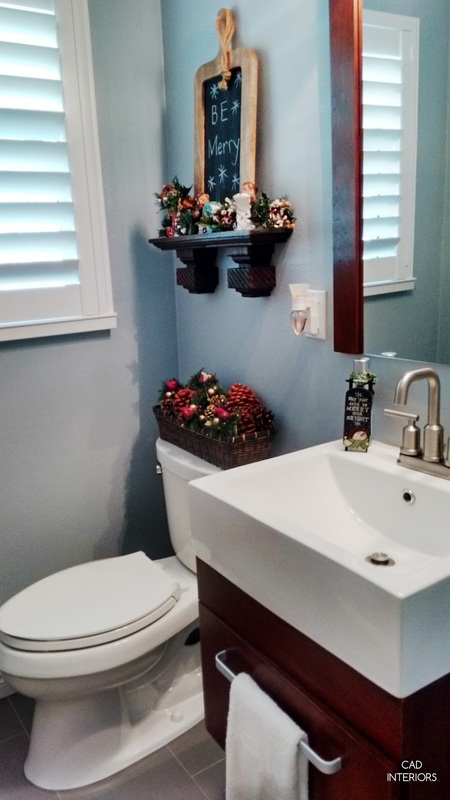 Seasonal touches, even in a bathroom, can go a long way in making your guests feel welcome. It will also leave them with a warm impression of your home!